by Robert Sungenis, M.A., Ph.D.
Young: The claim is made by some Christians that macro evolution is incompatible with divine Revelation. Biblical texts are cited in support of this claim, and some Catholics appeal to statements of the Magisterium. A result can be that a text is forced to say something it was never intended to say. Sungenis: Whether evolution is “compatible” with divine revelation is a debatable point, but I think it is safe to say that there is neither a biblical text nor a Magisterial statement that teaches evolution as a factual reality. Even theistic evolutionist, Stanley Jaki, admits that: “…the evolution of the universe, from very specific earlier states to a very specific present state, nothing is, of course as much as intimated in Genesis 1. Much less should one try to find there the idea of a biological evolution…” (Bible and Science, p. 145). For a biblical text or Magisterial statement to teach evolution as a fact, each must be clear and explicit. That is, the Bible would have to say something akin to: “And God created an evolutionary process by which all things came into being,” and the Magisterium would have to do likewise. As it stands, wherever Scripture addresses the topic of origins, it never teaches that the universe came about by an evolutionary process (e.g., Genesis 1-2; Job 38-42; Heb 11:1-3; Psalm 104, et al). Nor has the Magisterium taught that evolution has occurred (the recent statements by John Paul II, notwithstanding, which will be covered last in this rebuttal). The only thing the Magisterium has allowed is a continued discussion of the issue. Both Genesis and the Magisterium state such things as “God created the heavens and the earth” or that “God spoke and there was light,” and other clear and direct statements. Literally interpreted, those statements mean (not “imply,” “suggest” or merely “are compatible with”), that God created the universe and its light by speaking it into existence, instantaneously. Of course, the $64,000 question is: Should Genesis be interpreted literally? That is a fair question, but it is really the only question at issue. So let’s make it clear at the outset: A literal reading of Genesis DOES NOT teach evolution, and thus a literal reading of Genesis is not compatible with evolution. A literal reading of Genesis teaches an instantaneous, special creation, because that’s what the text, literally interpreted, means. Young: This article is not about a case for or against evolution. What I want to do here is look at biblical texts and a famous statement of the Church’s Magisterium which, I contend, are misinterpreted as a refutation of evolution. First let us note that care has to be taken not to give an over-literal interpretation to the creation texts in Genesis. Sungenis: We often hear such complaints from theistic evolutionists (I am not saying Mr. Young is a theistic evolutionist, but it certainly appears that he is partial to that position). They cast suspicions on literal interpretation by appealing to its excesses. On the one hand, we certainly don’t want to “over” do anything, for extreme positions on any issue are usually not good. On the other hand, I am always puzzled and amazed at the more or less cavalier attitude some Catholics today have toward a literal interpretation of Scripture, especially Genesis and various other spectacular narratives (e.g., crossing the Red Sea; the story of Jonah, etc). Why am I puzzled? Because Catholic exegesis has been noted throughout history for its doggedly literal interpretation of Scripture, most often in places where other groups and denominations have sought to spiritualize the text! For example, take the biblical passage where Jesus says, “This is my body.” Which church, of all the churches in the world, has interpreted that sentence most literally? Yes, the Catholic Church. Every other church, to one degree or another, balks at that kind of “over-literal” interpretation, because they find it impossible to accept that a mere wafer turns into the actual body of Jesus Christ. Undaunted, the Catholic Church hangs tenaciously to that literal interpretation, for she reasons, as she has done thoroughout her history, that if Scripture said it, without any hint of it being metaphorical, it must be understood at face value, no matter how absurd it may be to our senses. In arriving at the decision of interpreting Scripture at face value did the Church first convene a conference of all the world’s scientists to decide whether transubstantiation was scientifically possible before she rendered her decision? No, not at all. The Church started with the fact that Jesus’ statement had to be accepted by faith, and only then did she even seek a “scientific” explanation. It wasn’t until twelve hundred years later that Thomas Aquinas tried to put a least some metaphysical/scientific explanation on the Eucharist by appealing to the Aristotelian categories of “accidents and substance,” and even then, Thomas’ explanation, by his own admission, was still not fully adequate. The point is that the literal interpretation of the text came first, and then the scientific explanation, if any, came later. The same is true with many of our other Catholic beliefs garnered from Scripture. Why do we interpret the water of John 3:5 literally, whereas most other churches try to make a mere symbol out of Baptismal waters? Why do we interpret John 20:23 literally, whereas most other churches claim that Jesus did not give men the power to forgive sins? Why do we interpret the anointing of the sick with oil in James 5:14 literally, whereas most other churches spiritualize the command, or don’t even use it? Why do we interpret the Rock of Matthew 16:18 literally, whereas every other church denies Peter is the rock? I could list dozens of examples like this, but I think the point is well taken: If there is any church which has adhered to a literal interpretation of Scripture, if there is any church which has not feared to take Scripture at face value, it is the Catholic Church. In fact, interpreting any of the above statements in a non-literal fashion is considered heresy in the Catholic Church. But suddenly, in the last few hundred years, theologians have become so timid of interpreting the Bible literally, usually from fear of crossing the indomitable Goliath of King Science. There are a number of Catholic theologians today who have decided that a literal interpretation of John 6:54 is wrong, and that Christ is not present, in substance, in the Eucharist (See my book Not By Bread Alone, Appendix 10, pages 397-418). They use the same claim that Catholic evolutionists use today – that science has shown us that such things do not occur, that they are the product of uninformed and often superstitious people, and that they must be explained in a more naturalistic way. Conversely, the scientific advances of Creation science, in particular the work of Catholic sedimentologist Dr. Guy Berthault, who has shown through field research and laboratory experiment that geological strata are not formed chronologically over thousands or millions of years but within days or months, has been virtually ignored by the scientific establishment, since, if true, it reverses every theory concerning the geologic column that evolutionists have depended on for so long. Other Catholic scientists such as paleontologist Dr. Roberto Fondi; geneticist Dr. Giuseppe Sermonti; and mathematician and physics professor Dr. Wolfgang Smith have published important books refuting evolution, but these are totally ignored by the Pontifical Academy of Science which advises the Magisterium on scientific matters. I will tell you more about this in my upcoming book: Not By Science Alone: Modern Science at the Crossroads of Divine Revelation, due out in 2004. For now, suffice it to say that one shouldn’t be frightened or even impressed by the so-called “advances” of science. Real advances are few and far between. Too often, technological advances which produce easier living standards are often confused for advances in scientific disciplines, but the two are totally different. When this is added to the falsely concocted experiments, false recording of data, and deliberate suppression of opposing views, a whole book on the subterfuge that takes place in the scientific world could be written. Young: Gen. 1 to 3 uses much figurative language, such as God walking in the garden, or breathing on the clay He had formed. But this is both a distorted view of God and a bad way of reasoning. When God said to Adam in Genesis 3:9: “Where are you?” how did Adam hear him? Somehow, a voice from God must have resonated through the air to hit Adam’s eardrum. But how did God make a physical sound if he is merely a spirit? He’s not a ventriloquist, is he? Evidently, either spirits can make physical sounds, or God was in an alternative form such that he could produce a vibration of the air waves (unless someone wants to postulate that God spoke in Adam’s mind, but I haven’t run across anyone advancing that theory). So God has, or can have, a physical voice. Does God have a body? Let’s put it this way. If and when God chooses to have a body, then he is going to have a body. Can anyone argue with that? I don’t think so. Let’s flesh this out a little more. In Exodus 33, God is speaking very intimately with Moses. In verse 11, God says he speaks as a friend, face to face. No surprise here. Moses heard God’s voice on many occasions. In this instance, the Shekinah glory cloud would descend on the tent-of-meeting, and there God would tell Moses all he needed to know. But then, a most spectacular thing occurs. God gives Moses more to see than just the Shekinah glory cloud. In Exodus 33:18-23, God tells Moses that he will “pass his glory before him” and that Moses will see God’s “back parts,” but not his “face.” The Hebrew reads: “…and you shall see my back…” (using the regular Hebrew word for “back” — achor). So we must conclude that Moses saw something. God calls it his “back.” But what is a divine “back”? I don’t know, but it must have been something that was quite visible to the human eye, since God had to hide Moses in the cleft of a rock and shield him from his brilliance as he passed by. Sungenis: The problem here is the author is assuming that things which “sensibly appear” do not function as they “sensibly appear.” In other words, he’s trying to condition you into thinking that if the narrator writes something from the point of view of our senses, this means that it did not occur as it would be sensibly observed; rather, it occurred in some other way, as yet undefined. For example, if the text says, “And God created the sun and the moon and placed them in the firmament,” it seems Mr. Young is inclined to say that the Genesis narrator was only speaking in terms which were commonly used at the time or by what sensibly appeared, but not also describing what actually occurred. Because of this apparent difference, he would therefore feel the right to conclude that God didn’t literally place the sun and the moon in the sky. But is that allowable? On what basis can he safely conclude that the “sensible” description does not describe what actually took place? Did Pope Leo or Aquinas, which Mr. Young cites, specify that the things which were “sensibly created” were created in some other form than what they sensibly appeared to be? No, but Mr. Young assumes it to be so, because he has conditioned his mind to interpret Leo and Thomas in just that way. Granted, Genesis does not go into an elaborate description of astronomical facts like: distances (93 million miles from sun to earth); ellipses (earth is said to revolve in conjunction with two foci); zeniths (the plane of the revolution shifts); masses (the sun is one million times the volume of the earth); velocities (the earth is said to move at 18.5 miles per second); and chemical compositions (the sun is a mixture of mostly hydrogen and helium), but would such details necessarily exclude the simple fact that God placed the sun and moon in the sky? No. The Genesis narrator can make simple statements of fact concerning God’s placement of the sun in the sky without feeling the necessity to go into any details. In fact, the details would be superfluous. If he gave just one detail he would be obliged to give more, until the whole passage would become rather cumbersome. Sungenis: Same difference. Thomas is not saying that the firmament did not take the form it is described to have in Genesis 1. He is merely saying that when Moses wrote the passage he made a conscious effort to condescend to the level of the people in his description of the firmament. Hence, rather than going into a long description of the nature of the firmament, Moses simply says that the firmament was a RAQUIA (Hebrew word used in Genesis 1:6) that divided the waters above from the waters below. Here again, Thomas, this time in agreement with Augustine, said that the firmament was a literal substance that divided literal water. Augustine writes: “With this reasoning some of our scholars attack the position of those who refuse to believe that there are waters above the heavens while maintaining that the star whose path is in the height of the heavens is cold. Thus they would compel the disbeliever to admit that water is there not in a vaporous state but in the form of ice. But whatever the nature of that water and whatever the manner of its being there, we must not doubt that it does exist in that place. The authority of Scripture in this matter is greater than all human ingenuity” (The Literal Meaning of Genesis, Bk 2, Ch. 5, No 9). Aquinas said the same thing regarding the superiority of Scripture to decide such matters: “Whether, then, we understand by the firmament the starry heaven, or the cloudy region of the air, it is true to say that it divides the waters from the waters, according as we take water to denote formless matter, or any kind of transparent body, as fittingly designated under the name of waters…” (Summa Theologica, Bk. 1, Ques. 68, Art 3). So how much “sensible appearance” is allowed by Augustine and Thomas? Just enough to affirm that what Genesis recorded literally occurred, whether or not they understood then, or whether we understand today, how it could have occurred as stated. Augustine later goes into some detailed explanation as to how he thinks the firmament functioned, but he admits that he cannot make any firm conclusions. The one thing he is sure about, however, is that it occurred as it “sensibly appeared.” If someone today wants to venture beyond Genesis 1 and postulate further into the meaning of the “sensible” descriptions concerning the creation and function of the firmament, he has every right to do so, but one thing he can’t tell is that the “sensible appearance” did not occur as it would sensibly appear to an observer who was there to see it. Young: Also, we must take into account the way Scripture, especially the Old Testament, speaks of God’s causality. In Exodus God says: “I will harden Pharaoh’s heart” (7:3), meaning He would allow Pharaoh to harden his own heart. As the following chapter says, Pharaoh hardened his own heart (8:15). In other words, God’s permissive will is spoken of as though it were His positive will. Young: Another peculiarity, from our modern standpoint, is the way secondary causes are sometimes ignored, and the primary cause alone is given. Psalm 139 (138 in some versions) says: “Thou didst knit me together in my mother’s womb” (v. 13), and similar expressions are used elsewhere, including in Isaiah and Job. Sungenis: Again, the author makes assumptions which, because they have not been proven, cannot be used to support his argument. First, how does he know that God plays no secondary role in the formation of the child in the womb? He doesn’t. He just assumes it to be so because science has told him that cells divide. Thus to him, God only has an initial role, but no role in the process itself. Granted, cells divide, but who is to say that God has no role in that process? In fact, the Catholic Church, because it must uphold the doctrine of Original Sin, teaches that God actively creates a human soul in each person conceived in the womb. It takes some amount of “knitting” to do that, does it not? And regarding the physical world, doesn’t Scripture tell us that God upholds the very universe by His power, and that the sparrow He Himself clothes does not fall to the ground without his consent? (Hb 1:3; Cl 1:17; Ps 19:1f; Mt 6:26; 10:29; 2Pt 3:7). These verses certainly do not suggest that God merely sets things in motion and then sits back and watches it all unfold, with no more involvement. That is more a Deist concept of God than the Catholic concept of God. No, Scripture teaches that without God’s direct and consistent involvement the universe would cease to function and exist. Young: If we keep these principles in mind, we will be cautions about passages where effects are attributed immediately to God, as when Gen. 1:25 says God made the beasts. Sungenis: From everything I’ve said thus far, I think I have shown that the burden of proof is on anyone who suggests that effects are not attributed to God. This is especially true with the author’s statement regarding God’s making of the beasts. There is simply nothing in the text of Genesis 1:20-26 which teaches that God used secondary causes to make the beasts. The text says, “And God said, ‘Let the earth bring forth living creatures after their kind. '” This is the same kind of description we have in the other days: God spoke and it was done. The literal interpretation means that God spoke and it came to be, immediately. The only way a theistic evolutionist could make room for himself is to interpret the passage in a non-literal fashion, but he must have license to do so, not merely because he desires to do so. The burden of proof is on him, since the text does not say, literally, what he would like it to say. Now, some theistic evolutionists attempt to take the phrase “the earth brought forth” to mean that the “earth” brought forth the beasts in such a way that the beasts came from the soil in an evolutionary fashion. But this attempt is futile. First, the only way the theistic evolutionist could even suggest such an interpretation is by interpreting the words “the earth brought forth” in a somewhat literal fashion. But if that is the case, then why not interpret everything else in Genesis in a literal fashion? You can’t have it both ways. Second, such an interpretation relies on a distortion of the Hebrew grammar. The Hebrew words for “earth bring forth” are TOTSA HAARETS, from the Hebrew YATSAH. As such, the verb simply means that the earth is the PLACE from which the animals appeared, and from which the animals proceeded to roam, not a description of HOW God created the animals. This can be seen more clearly by comparing the passage with the other verses. The “earth” is chosen as that which produces animals in contrast to the “sea” in verse 21 that produces the fish. In other words, YATSAH merely shows that land is the domain of the animals, as opposed to the sea being the domain of the sea creatures. There is no suggestion of evolution in YATSAH, especially since the verb is not used of any other creature God created. The use of YATSAH is no different than the use of the verb DASHAH in Genesis 1:11 (“Let sprout the earth tender shoots and the herb yielding seed…”) or the use of YATSAH in verse 12 (“And the earth produced tender sprouts and the herb yielding seed”). Young: Likewise, the text, “The Lord God formed man of dust from the ground” (Gen. 2:7), could quite well mean, so far as the language of Scripture is concerned, that man was formed through secondary causes from other living matter originally derived from the earth. Sungenis: Yes (and I don’t mean to be cute here) but it could also mean that space aliens, taking the form of men, came from Krypton, and settled on the earth. (I don’t hesitate to mention that today there is a popular and respected evolutionist, Fred Hoyle, who has suggested that the earth was originally seeded by space aliens). Here’s the problem. There is nothing in the text that gives the interpreter a clue as to its meaning if he decides to interpret it non-literally. Unfortunately, “theistic evolutionists,” by virtue of the label they have given to themselves, have been conditioned to interpret such textual ambiguities in their favor. The present attempt is even a little more high-brow, since the author says “so far as the language of Scripture is concerned.” He’s trying to say that Scripture will allow him to interpret, using an evolutionary model, the means by which God formed man from the dust of the ground. Does it? Does Scripture ever teach an evolutionary model? No, not if interpreted literally. Does Scripture ever use the language “And God formed man from the dust of the ground” in a metaphorical way in other places, or in an instance teaching secondary causes? No, the only other place Scripture uses the same language is Tobit 8:8, and there it is also in a context which doesn’t contain metaphors. Is there any evidence in Scripture showing that when God creates he uses secondary causes? No. Has the Church ever officially taught any of these ideas? No. Has any Father or Medieval theologian taught “that man was formed through secondary causes from other living matter originally derived from the earth”? No. So, where is our author getting these ideas? Also, I want you to notice the mixing-and-matching between literal and non-literal interpretation that is being used by Mr. Young. On the one hand, he says that “formed” means God used organic matter from the ground, yet he cannot literally mean “formed,” because evolution is not based on God forming anything. Evolution says that matter forms things by its inherent mechanisms. So in this sense “forming” would have to be interpreted non-literally. (And the author has already told us that God-forming and matter-forming are NOT the same thing, since he earlier stated that God is not directly involved in secondary causes, e.g., “knitting together in the womb”). On the other hand, he interprets the Hebrew aphar (“dust”) quite literally, though with a little twist, categorizing it as “living matter” from the earth (perhaps because soil contains microorganisms). But such a literal interpretation is going to get a little sticky, since evolution does not say that man came from the ground, but that he came from an ape. If the text of Genesis said something like: “And God formed man from the beasts of the field,” then perhaps our author would have something going for him. Sungenis: The author is referring to the Hebrew word YOM, which is normally translated “day” in English. First, let me deal with his reference to Num 20:15. Yes, the word “day” is used in Num 20:15, but it is the Hebrew plural YOMIM (“days”), followed by the quantitative adjective RABBIM, which means “many.” In other words, the translation says “long time” because it IS a long time. It is “many days” in Hebrew. But that is not the word used in Genesis 1. Each reference to YOM in Genesis 1 is singular, referring to one day, with no adjectives. Young: The Pontifical Biblical Commission has permitted this understanding of YOM as the meaning of the six days of creation (Response of June 30, 1909). Sungenis: Although true, this is very misleading. For the record, the commission stated that the “day” in Genesis 1 could be “either in its strict sense as the natural day, or in a less strict sense as signifying a certain space of time.” Why allow a “less strict sense” as well as the “strict sense”? Not necessarily because the Commission was advocating the theory of evolution or that a day in Genesis 1 comprises millions of years. Neither of those ideas had been advanced by the Church, at least not in 1909. In this statement the Church teaches that man, as defined by the Church, was definitely not the product of an evolutionary process. The Church defines man as a person with a physical body and an eternal soul. This would mean that both man’s physical body and his eternal soul are not the product of evolution. Whatever one believes about the origin of animals (i.e., that they were made over millions of years), the Church, at least in this instance, is clear that man is not a product of animals; rather, he was made independently. Vatican I adds new strictures that were not in previous conciliar statements. Not only is man in view, but Vatican I specifies that “the world and all the things which are contained in it” are the product of ex nihilo creation. Moreover, notice the words, “their whole substance,” the first time the Church had specified this phrase. The requirement that things be made “out of nothing” is one thing, but in “their whole substance” makes it very difficult for anyone to advance the theory of evolution, for unless evolution can show that it’s upward processes result in fulfilling Vatican I’s criterion, then its efforts are futile. Vatican I does not say “the parts of their substance have been produced by God from nothing,” or “the inner workings of progressive development,” but it says specifically “their whole substance has been produced by God from nothing.” The sequence is: Nothing => Whole Substance, which doesn’t leave too much room for anything else to occur. This is especially significant since Vatican I specifies that, along with the corporal creatures, the “spiritual” creatures were made out of nothing in their whole substance. “Spiritual” must refer to the angels. No one has ever argued that the angels came into existence by an evolutionary process. The church has always taught that the angels were created out of nothing, instantaneously, in their whole being. That being the case, we are on safe ground in concluding that Vatican I was not simply interested in combating the idea of materialism (that is, the Greek concept that things came into being from pre-existing matter) but of promoting the idea that God created his creatures whole and complete, both spiritual and corporal. In essence, if instantaneous wholeness applies to the spiritual realm, it must also apply to the physical realm, otherwise Vatican I would be creating a contradiction in terms. Notice that Leo makes mention of the “sixth day of creation” when God created Adam from the dust. It seems that Leo is not viewing the sixth day as representing millions of years, since evolution would require the existence of primates between the dust and Adam. Leo makes no such provision. His interpretation of Genesis seems clear that the dust was instantaneously fashioned into the first man. We surmise this is Leo’s intent because he purposely adds that Eve was “miraculously” taken from the side of Adam on the same sixth day when Adam was in a “locked” sleep. If Eve was miraculously made, then she was made instantaneously in one day. Consequently, if Leo thought Eve was created in one day, it would be logical to assume that he meant that Adam was miraculously made in one day, for Leo offered no hint of a chronological distinction between the creation of Adam and the creation of Eve. If Leo thought there was an evolutionary distinction in Adam and Eve’s respective appearances, then it is reasonable to assume he would have mentioned it. Without it, Leo’s silence is deafening against theistic evolution. In fact, knowing the insurmountable problems Eve causes for theistic evolution, in 1932 one Catholic evolutionist, J. Paquier, proposed that Adam and Eve were twins from the same immediate ancestor! Yet we must still deal with the fact that Scripture sometimes uses the word “day” in reference to an indefinite period of time. For example, Isaiah 4:2 says: “In that day the Branch of the Lord will be beautiful and glorious and the fruit of the earth will be the adornment of the survivors of Israel.” Most likely, this passage is suggesting more than a 24-hour period, since the Lord’s glory is to go on indefinitely. So what was the 1909 Biblical Commission to do? In light of the other Scriptures that use the word “day” in an indefinite sense, the Commission really had no choice but to affirm that the Hebrew word YOM could sometimes be translated figuratively or as an indefinite period of time. In fact, there are five different ways YOM is used in Scripture. But notice that the Commission did not comment on the other important time-clues in Genesis 1. The Commission never said that the phrase “evening and morning” could be taken in a “less strict” or figurative sense, since Scripture never offered them any cases in which that phrase was used in a non-literal way. “Evening and morning” is very specific, and as such, it is used less than a dozen times in Scripture. In contrast, the Hebrew word YOM is used over 2000 times in Scripture, with various shades of meaning, as we have seen. In reality, every indication we have shows that they did not intend to make a definitive judgment on this issue or suggest they believed in evolution. The Commission certainly could not go against the decision made thirty years earlier by Pope Leo XIII which stated that God made Eve miraculously from the side of Adam on the sixth day, a period of time which would have comprised 24 hours, from sunset to sunrise. The significance of Eve is borne out by the fact that, since according to Leo XIII she was created “miraculously” on the “sixth day,” and since the text of Genesis tells us her creation occurred in an “evening and morning,” then this would confine the sixth day to being a short period of time (i.e., 24 hours), since miracles are instantaneous. Since Leo is clear that Eve’s creation was miraculous, we really have no other choices. Young: Therefore we cannot rightly use the creation account in Genesis to rule out the claim that God’s work depicted there took millions of years. Young: Looking at the way the Church’s fathers and doctors have interpreted Genesis, we find a very different approach to that of Protestant fundamentalists. Sungenis: The truth is that the Fathers and doctors hardly diverge at all from Protestant creationists (I am deliberately dropping the term “fundamentalists,” since it is too often used pejoratively of someone who is an extremist, and I would suggest that Catholics do Protestant creationists a big favor by dropping it, too). The Fathers who wrote about Creation taught that God made the universe ex nihilo, out of nothing, in six literal days, although they sometimes differed on its details. Thomas and the Medievals also agree, Thomas going to great lengths to affirm a six day Creation (Sent. 12, q. 1, art 2, ad 8). But of significant importance is the following: Of the Fathers who commented on Genesis 1, the majority specify that they understand the “day” as a 24-hour period, many even using the very phrase “twenty-four hours.” Those who do not use “twenty-four hours” refer to the Creation days as a fraction of a week, or some other literal designation which cannot be misconstrued as a long or indefinite period of time. In fact, one contemporary researcher, noting his exasperation in not finding anything but a literal interpretation of Genesis 1 in the Fathers, stated: “It was too speculative and difficult to appeal to the majority, who preferred to believe that the six days were really periods of time” (F. E. Robbins. The Hexaemeral Literature. University of Chicago, 1911, p. 22). Similarly, even theistic evolutionist, Fr. Stanley Jaki, admits: “As I reviewed one after another the great commentaries on Genesis 1, I could not help feeling how close their authors were, time and again, to an interpretation which is strictly literal…” (Genesis 1 Through the Ages, p. xii). Basil (329-379): “Thus were created the evening and the morning. Scripture means the space of a day and a night…If it therefore says ‘one day,’ it is from a wish to determine the measure of day and night, and to combine the time that they contain. Now twenty-four hours fills up the space of one day – we mean of a day and of a night” (Hexameron 2, 8). Gregory of Nyssa (335-394): Gregory confirms the views of Basil on the details of the Creation in the following passage: “Before I begin, let me testify that there is nothing contradictory in what the saintly Basil wrote about the creation of the world since no further explanation is needed. They should suffice and alone take second place to the divinely inspired Testament. Let anyone who hearkens to our attempts through a leisurely reading be not dismayed if they agree with our words. We do not propose a dogma which gives occasion for calumny; rather, we wish to express only our own insights so that what we offer does not detract from the following instruction. Thus let no one demand from me questions which seem to fall in line with common opinion, either from holy Scripture or explained by our teacher. My task is not to fathom those matters before us which appear contradictory; rather, permit me to employ my own resources to understand the text’s objective. With God’s help we can fathom what the text means which follows a certain defined order regarding creation. ‘In the beginning God created the heavens and the earth’ [Gen 1.1], and the rest which pertains to the cosmogenesis which the six days encompass.” (Hexaemeron, PG 44:68-69, translated by Richard McCambly). Eustathius (270-337), Bishop of Antioch, called Basil’s commentary on Genesis 1 an “overall great commentary” (PG 18, 705-707). “In the beginning of time, therefore God created heaven and earth. Time proceeds from this world, not before the world. And the day is a division of time, not its beginning.” (Hexameron 1:20, FC 42:19). “But now we seem to have reached the end of our discourse, since the 6th day is completed and the sum total of the work has been concluded.” (Hexameron 6:75, FC 42:282). Theophilus (c 185): “Of this six days’ work no man can give a worthy explanation and description of all its parts…on account of the exceeding greatness and riches of the wisdom of God which there is in the six days’ work above narrated” (Autolycus 2,12). Irenaeus, (140-202): “For in as many days as this world was made, in so many thousand years shall it be concluded…For the day of the Lord is as a thousand years; and in six days created things were completed: it is evident, therefore, that they will come to an end at the sixth thousand year” (Against Heresies 5, 28, 3). Among the Fathers, several of them show the same chronology in their eschatological view: that, prophetically speaking, a day equates to one thousand years. Regardless whether the Fathers’ view of a six-millennium span for the world is correct, the only important fact for our purposes is that the ‘day = 1000 years’ schema confirms the Fathers’ belief that a day in Genesis 1 is less than one thousand years, and more specifically, that the day is precisely 24-hours. In other words, these Fathers did not believe that a day of Genesis was 1000 years. Their formula is certainly not 1000 years in Genesis 1 = 1000 years of the earth’s longevity; rather, a single day of 24 hours in Genesis = 1000 years of the earth’s longevity. Lactantius (250-317): “God completed the world and this admirable work of nature in the space of six days, as is contained in the secrets of Holy Scripture, and consecrated the seventh day…For there are seven days, by the revolutions of which in order the circles of years are made up…Therefore, since all the works of God were completed in six days, the world must continue in its present state through six ages, that is, six thousand years…For the great day of God is limited by a circle of a thousand years, as the prophet shows, who says, ‘In Thy sight, O Lord, a thousand years are as one day.” …And as God labored during those six days in creating such great works, so His religion and truth must labor during these six thousand years… (Institutes 7, 14). Here we notice how Lactantius, as other Fathers, believes in a six thousand year time-span for the existence of the present heaven and earth. In order to arrive at this calculation, Lactantius must first understand the days of Genesis as twenty-four hour periods, which can then, by application of the “prophets” words, be an analogical prediction to the time of the demise of the Creation. Methodius (c 311): For you seem to me, O Theophila, to have discussed those words of the Scripture amply and clearly, and to have set them forth as they are without mistake. For it is a dangerous thing wholly to despise the literal meaning, as has been said, and especially of Genesis, where the unchangeable decrees of God for the constitution of the universe are set forth, in agreement with which, even until now, the world is perfectly ordered, most beautifully in accordance with a perfect rule, until the Lawgiver Himself having re-arranged it, wishing to order it anew, shall break up the first laws of nature by a fresh disposition. But, since it is not fitting to leave the demonstration of the argument unexamined – and, so to speak, half-lame – come let us, as it were completing our pair, bring forth the analogical sense, looking more deeply into the Scripture; for Paul is not to be despised when he passed over the literal meaning, and showed that the word extended to Christ and the Church. (Banquet of the Ten Virgins, Discourse III, Ch 2). Clement of Alexandria (150-216): One can get a clearer picture of how literally Clement interprets Scriptural numbers in Book 1, Ch. 21 of the Stromata. There he enumerates a long series of chronological data. For our purposes, Clement specifies the length of time from Adam to Noah’s Flood to the very day: “From Adam to the deluge are comprised two thousand one hundred and forty-eight years, four days” (ANF, Vol. 2, p. 332). This would necessarily mean that Clement would have considered the first day of the above enumeration as beginning on the sixth day of creation, which would mean that the seventh day would be the second day, and so on. “…but the earth is from the waters: and before the whole six days’ formation of the things that were made, the Spirit of God moved upon the face of the water. The water was the beginning of the world…” (Catechetical Lectures, 3, 5). Hippolytus (160-235): “But it was right to speak not of the ‘first day,’ but of ‘one day,’ in order that by saying ‘one,’ he might show that it returns on its orbit, and, while it remains one, makes up the week….On the first day God made what He made out of nothing.” (Genesis 1:5, 1:6; ANF, vol. 5, p. 163). “When, therefore, Moses has spoken of ‘the six days in which God made heaven and earth’…Simon, in a manner already specified, giving these and other passages of Scripture a different application from the one intended by the holy writers, deifies himself. When, therefore, the followers of Simon affirm that there are three days begotten before sun and moon, they speak enigmatically…”(Refutation of All Heresies, Book VI, Ch IX). Athanasius (295-373): “For as to the separate stars or the great lights, not this appeared first, and that second, but in one day and by the same command, they were all called into being. And such was the original formation of the quadrupeds, and of birds, and fishes, and cattle, and plants; thus too has the race made after God’s Image come to be, namely men; for though Adam was formed out of earth, yet in him was involved the succession of the whole race” (Discourse Against the Arians, Discourse II, 48; NPNF2, vol. 4, pp. 374-375). Young: I have a lot of respect for the determination of these Protestants to adhere fully to God’s written word. The trouble is they believe in Scripture alone as the rule of faith, and therefore cling rigidly to the literal sense because of the danger that, if they depart from the literal meaning, they may be departing from God’s word. As one Protestant said to me, after I had proposed a nonliteral interpretation of a point in Genesis: If we start getting away from the literal sense, where do we stop? Sungenis: Several comments are in order: First, it is a fact that Protestant creationists are light-years ahead of Catholics in studying the scientific aspects of Special Creation. Catholics have hardly broached the subject, let alone have room to give an honest evaluation of the mountains of evidence against Evolution that creation scientists have uncovered. Catholics, on the other hand, have most of their scientists steeped in the mainstream of liberal academia, parading wayward theologian/evolutionists such as Fr. Teilhard de Chardin, Fr. Karl Rahner and Fr. Hans Kung as some of their main founders and spokesmen. The intrigue surrounding De Chardin is a story in itself. He is strongly suspected of everything from outright heresy (most of his books were condemned by the Magisterium), to outright fraud (even Stephen Gould, evolutionist professor at Harvard, says that de Chardin was behind the fakery of Piltdown Man and Peking Man). Second, the doctrine of sola scriptura has little to do with whether one interprets the Bible literally or not. Liberal Protestant theologians also believe in sola scriptura and deny the authority of the Magisterium, but they de-literalize almost every major doctrine in Scripture (not to mention the fact that most of them adhere to the theory of evolution). And again, I must point out that it is quite ironic that Catholic evolutionists cast aspersions on Protestant creationists for “interpreting the Bible literally,” when it has been the historic Catholic Church which has adhered most tenaciously to a literal interpretation of Scripture, an interpretation that most Protestants find unacceptable (see my previous references to: the Eucharist in Mt 26:26/Jn 6:54; Baptismal Regeneration in Jn 3:5, Confession to a Priest in Jn 20:23; Sacrament of the Sick in Jm 5:14; Peter as the Rock in Mt 16:18; divorce and remarriage in Mt 19:9, etc). Young: But Catholics have Tradition and the Magisterium, and consequently three is a freedom and flexibility among the Fathers and Doctors in the understanding of Scripture. Sungenis: Well, if the author can show us anywhere in “Tradition” where the Church has taught the theory of evolution, or any place that a consensus of Fathers deviated from a literal interpretation of Genesis 1, then he would have a point. And I hope that he won’t use the excuse that evolution is a relatively new theory so that the Fathers and Medievals couldn’t be expected to embrace it. All one need do is read the Fathers of the Church to find that the world of their day was engulfed in Greek cosmogony and cosmology, with seminal ideas quite similar to those of Charles Darwin, yet the Fathers of the Church rejected them all. “Some had recourse to material principles and attributed the origin of the Universe to the elements of the world. Others imagined that atoms, and indivisible bodies, molecules…by their union formed the nature of the visible world. Atoms reuniting or separating, produce births and deaths and the most durable bodies owing their consistency to the strength of their mutual adhesion…Deceived by their inherent atheism it appeared to them that nothing governed or ruled the universe, and that all was given up to chance.” (The Hexameron, Homily 3, 2). “The philosophers of Greece have made much ado to explain nature, and not one of their systems has remained firm and unshaken, each being overturned by its successor. It is vain to refute them; they are sufficient in themselves to destroy one another” (The Hexameron, Homily 3, 2). “For the Greek philosophers, inquiring into the beginning of the world, have gone, some in one way and some in another. In short, Pythagoras says that numbers are the elements of its beginnings; Callistratus, that qualities; Alcmaeon, that contrarieties; Anaximander, that immensity; Anaxagoras, that equalities of parts; Epicurus, that atoms; Diodorus, things in which there are no parts…Democritus, that ideas; Thales, that water; Heraclitus, that fire; Diogenes, that air; Parmenides, that earth; Zeno, Empedocles, Plato, that fire, water, air and earth. Aristotle also introduced a fifth element…by joining the four elements into one…” (Clement of Rome, Pseudo-Clementine, Ch. XV, Theories of Creation). “But Leucippus, an associate of Zeno…affirms things to be infinite, and always in motion, and that generation and change exist continuously….And he asserts that worlds are produced when many bodies are congregated and flow together from the surrounding space to a common point, so that by mutual contact they made substances of the same figure and similar in form come into connection; and when thus intertwined, there are transmutations into other bodies, and that created things wax and wane through necessity…” (The Refutation of All Heresies, Ch. X: Leucippus and His Atomic Theory). Young: The contrast is very striking in the interpretation of the first chapters of Genesis. It comes out clearly in St. Thomas’ treatise on the days of creation in his Summa Theologiae ,1. Qq. 65-74. I’ll just take a few examples. On the problem of how plants could exist before the sun, he mentions St. Basil’s opinion that they were recorded as produced before the sun and moon to prevent idolatry of sun and moon through people attributing the power of life to the celestial bodies (Summa, 1, 70, 1, ad 4). Basil didn’t think we have to take the whole sequence of production literally. (The reference is St. Basil: Horn V in Hexaem). Sungenis: Mr. Young couldn’t be more wrong. First, it is obvious from even the short readings that I have provided from Basil that he believed in a literal, 24-hour, six-day creation week. Anyone who is the least familiar with Basil’s writings knows this to be true. He has the most prolific and outspoken position among all the Fathers, and many of the Father’s looked up to him as the expositor par excellence on this issue. Young: On the question of the waters above the firmament, Origen’s opinion that these were actually angels, not literally water, is mentioned by St. Thomas (1, 68, 2), but he disagrees and says they are material things, but there is uncertainty about their nature. He mentions one opinion which takes these “waters” to actually be a firmament which can be called aqueous because of its transparency. Another opinion assumes water to mean, in this passage, “formless matter.” Or again, waters here may mean vapors. St. Thomas sees all these as permissible explanations, except apparently Origen’s. Young: On the question of the number of days of creation, Thomas mentions St. Augustine’s view that there was really only one day of creation, and that Augustine understands by the word day, “the knowledge in the minds of the angels, and hence, according to him, the first day denotes their knowledge of the first of the divine works, the second day their knowledge of the second work, and similarly with the rest” (1, 74, 2). “Whoever, then, does not accept the meaning that my limited powers have been able to discover of conjecture but seeks in the enumeration of the days of creation a different meaning, which might be understood not in a prophetical or figurative sense, but literally and more aptly, in interpreting the works of creation, let him search and find a solution with God’s help. I myself may possibly discover some other meaning more in harmony with the words of Scripture. I certainly do not advance the interpretation given above in such a way as to imply that no better one can ever be found, although I do maintain that Sacred Scripture does not tell us that God rested after feeling weariness and fatigue” (Bk 4, Ch 28, No 45). Young: So we find in the fathers and doctors many differences of interpretation, many departures from the literal sense, this variety being seen as legitimate. Young: Eight hundred years after the time of the great fathers, St. Thomas Aquinas, the doctor the Church ranks above all others, sees the above views and many similar ones as permissible, whether he agrees personally with them or not. Young: Pope Leo XIII warns of the need for prudence in using the works of non-Catholics on Scripture. He points out that “the sense of Holy Scripture can nowhere be found incorrupt outside the Church” (Providentissimus Deus; p. 17 in Rome and the Study of Scripture). Although he was writing particularly against the so-called Higher Criticism, the warning applies also to fundamentalist works on Scripture, including those on Genesis. They are excessively literal, as any examination of their works compared with the great Catholic masters will show. Sungenis: No, that is simply not true. We have seen from our survey of the Fathers and Medievals that most, with few exceptions, believed in a literal, 24-hour, six-day creation week. If our author wants to call that “excessively literal,” he can do so, but he must realize that the same shoe fits on the Catholic foot as the Protestant foot. There are no “Catholic Masters” who adopted a non-literal interpretation of Genesis 1; and there certainly were no “Catholic Masters” who were proponents of the theory of evolution, even in its primitive Greek form. (2) that Adam did not come from the womb of an ape. Young: So when Genesis says that God made man from the dust of the earth, the words are compatible with both a creationist interpretation and a theistic evolutionist interpretation. Young: Some Catholic creationists quote our Lord’s words (Mark 10:6): “But from the beginning of creation God made them male and female.” They claim this means Adam and Eve were created in the beginning of creation, excluding the possibility they may have been created millions of years later. But the words should be understood to mean from the beginning of the human race’s creation. This is indicated by the context: Christ is saying that if we go back to the beginning we find that divorce was not part of God’s plan. Sungenis: First, if the teaching of Lateran IV were merely for the purpose of refuting the ideas of the Manicheans and Cathari (i.e., that the material world was created by an evil god), the only thing Lateran IV needed to do was deny the proposition and say that the material world was created by the one and only good God. If not, then Lateran IV’s remark that God “created both orders out of nothing” would be superfluous. As it stands, the council not only refuted the idea that an evil god made the world, but it specified HOW the good God made the world, that is, he made it out of nothing. This was directed against both the Manichean idea of origins and the Greek concept of the Demiurge (against which the Father’s we previously cited fought vigorously), which held that everything came from pre-existing matter. (There are some who even say that Justin Martyr and Clement of Alexandria fell into the idea of pre-existing matter, but that is not true). The point remains, however, that for the first time, at Lateran IV, the Church dogmatically states that the material universe is created out of nothing (ex nihilo). Prior to this, the Church, in the person of Pope Pelagius I in his 561 letter to King Childebert I, stated: “For I confess that…Adam and his wife, were not born of other parents, but were created, the one from the earth, the other from the rib of man” (Denzinger 228a). This is the same teaching that Leo XIII would give thirteen hundred years later in Arcanum Divinae Sapientae, stating that Adam was not born from the womb of an ape, and that Eve was miraculously created from the side of Adam. The Church has simply given no hint that there existed any evolutionary process between Adam and the dust God took from the earth to make him. Surely it would have been quite odd for either Pelagius I or Leo XIII to hold that Eve was miraculously created from the side of Adam – in one day – yet teach that Adam evolved over millions of years. As it stands, the only part of Genesis 1-2 that the author could even remotely rely upon is the creation of Adam from the dust, since every other creation, including the animals, are said to come into existence without any intermediary substance, as God says in each case, “Let there be….” But Mr. Young blunders when he says above: “The council is not saying God directly produced each pair of elephants or dogs… Indeed, if God did produce each kind directly, He did not do so ex nihilo, but from previously existing matter.” Where does the text of Genesis say that God used pre-existing matter to produce the animals of the sixth day? If the author is trying to base his assertion on the phrase: “Let the earth bring forth living creatures,” we have already shown that the mention of the “earth” does not prove his case, since when “earth brought forth” is compared to the other usages in Genesis 1 it is obviously referring to the PLACE the animals were created, not HOW they were created. If the author thinks otherwise, then he needs to prove it from the text, not just assert it as an option in interpretation. “Even if Mani accosts you saying that matter preexisted, or Marcion, or Valentine, or pagans, tell them directly: ‘In the beginning God made heaven and earth’…..If the enemies of truth insist on saying it is impossible for something to be produced from nothing, let us ask them. The first human being — was he made from the earth, or did he come from somewhere else? To a man they’ll say from the earth, and make no bones about it. So let them tell us how the substance of flesh came into existence from earth. I mean, from earth you get clay, and bricks, and pottery, and potsherds, so how would you get the substance of flesh?” (Homily on Genesis, 2:5,10-11). Here we see the Fathers tackling the tenets of evolution head on – and denying them outright. It is significant to note that Chrysostom remarks about the impossibility of producing living beings from inorganic matter under the heading of “ex nihilo.” For him, it is understood that ex nihilo refers also to the creation of organic beings from inorganic matter. The same would be true, of course, when Jesus changed water into wine, since the element carbon has to be instantaneously created in order to join with the already present hydrogen and oxygen in order to make wine. And this leads us to reiterate that the “dust” of Genesis 2, from the Hebrew APHAR, refers to: dry earth, dust, powder, ashes or refuse. There is nothing organic or living associated with the term in all of its 108 uses in the Hebrew Old Testament. Similarly, in line with Chrysostom’s use of the term, we would insist that Eve was created ex nihilo, since her body was composed of elements that were non-existent in the rib taken from Adam. In the preceding paragraph of its decree, Vatican I quotes from the statement of Lateran IV regarding creation from nothing. This is very important, for what it tells us is that Vatican I understood itself bound by what was decreed at Lateran IV, consequently encapsulating the tradition of the Church by issuing an infallible dogmatic decree on the matter. Canons which carry anathemas are the highest dogmatic statements existing in the Catholic Church. They are on par with Scripture itself because they are infallible, protected from any error by the very hand of God. Since Vatican I chose the phrase “whole substance,” we must assume that it did so because it wanted to contrast “whole substance” over against ideas of “partial substance.” It should be obvious to any fair-minded person that Vatican I sought to affirm that the cause for the creature’s appearance could not be subdivided; that is, the creatures were not the sum of parts which were eventually brought together over a long period of time. If it does not mean that, then what, pray tell, does “whole substance” mean? Although the Pope refers to a “series of discoveries,” he does not specify what they are. In reality, there have been no significant discoveries for the theory of evolution, especially in recent years. In fact, as of 1973, the world’s leading evolutionists, Stephen Gould and Niles Eldredge voluntarily abandoned the conventional theory of evolution in favor of their hybrid “punctuated equilibrium,” due to their belated discovery that the fossil record contains none of the transitional forms predicted by Darwin. This new wrinkle made global news again in 1980 at a meeting of the world’s evolutionists in Chicago, where Gould and Eldredge publicized their theory and encouraged their colleagues to adopt it. A recent spat of popular books doubting the assumptions of evolution, such as Michael Behe’s Darwin’s Black Box: The Biochemical Challenge to Evolution; Phillip Johnson’s Darwin on Trial; Michael Denton’s Evolution: A Theory in Crisis and Natures Design. Dr. Lester McCann’s Blowing the Whistle on Darwinism; Michael Dembski’s work on Science and Evidence for Design in the Universe, Kenyon’s Of Pandas and People, and many other works, as never before, have unveiled the tenuous structure upon which evolutionary theory is built. Surely the Pope should have known about these efforts before he gave his 1996 speech to the Pontifical Academy of Science. Why doesn’t he? Read on and find out. As noted above, the Pope also refers to “the convergence, neither sought nor fabricated, of the results of work.” This is quite an odd statement. Why advance the cause of evolution by going on the defensive? Has someone previously accused evolutionists of “fabricating” evidence? Unfortunately, the answer to that question is yes — evolution has a sordid history of fabricating evidence to support its theory. Recently, the claims attritbuted by evolutionists to the Peppered Moths of England were found to be the result of a complete hoax. For years evolutionists have touted the change in wing color of the moths as due to the mechanics of evolution. School textbooks are filled with pictures of the peppered moths as proof of evolution. It has been found, however, that every photo of the peppered moths was doctored. Evolutionists colored the wings and pasted the moths on trees; and then took photos, which they distributed worldwide. Although this subterfuge was exposed, no apologies came forth from the Evolutionary establishment, and no attempt to remove the fake photos has been undertaken. There are dozens of similar examples that could be listed. Falsification is especially rampant in the area of paleontology. Catholicism’s leading evolutionist, Fr. Pierre Teilhard de Chardin, had become widely known in the 1940’s for forging the hominid models of both Piltdown Man and Peking Man. Unfortunately, Piltdown Man was only exposed as a fake three years after Pius XII wrote his encyclical Humani Generis, which in part dealt with evolution. One only wonders what Pius would have said had he known of the chicanery occurring among his own theologians. In the face of such evidence, we are led to suspect that perhaps the Pope did not write the speech addressed to the Pontifical Academy of Science; rather, the whole or part of it was crafted by a member of the PAS and placed in the hands of the Pope. Since the Pope has remained relatively non-committal on the subject of evolution, he would have little motive for trying to defend against the “fabrication” of evidence. Only someone privy to the accusations of “fabrication” would have such an agenda. On the other hand, if the Pope himself was aware of previous accusations of “fabrication,” then this also means he must be aware of the mounting body of scientific knowledge which speaks against evolution, for that is the only place where the accusatory evidence of the “fabrications” exists. And if the accusations of “fabrication” are known, then the sources which show that “fabrication,” that is, the models which teach Special Creation and deny evolution must also be known. As a result, there is no consensus of ideas to which the Pope can appeal. In spite of this, the Pope speaks of a “convergence…of the work.” But why doesn’t the Pope mention that there is also a convergence of evidence against evolution, evidence that has mounted exponentially in the years preceding his 1996 speech? Surely, if he has at all been watching the developments and discoveries of other scientists, many of them in his own Catholic Church, he would see that the “convergence” of whatever is presented by evolutionists has a competing convergence from non-evolutionists, and it would only be fair to everyone involved for the Pope, or his ghostwriter, to mention both sides of the story. The only ones who pretend that no contrary evidence exists are the evolutionists who do their best to suppress any opposing scientific findings. Since in the past the Pope has been fair to both sides, it again seems as if this portion of his speech was written by someone other than the Pope, someone who does not want to be neutral, someone with an agenda. [NB: For what its worth, I have just found out from one of my colleagues who reviewed this paper, it is indeed true that someone from the Pontifical Academy of Science wrote the 1996 speech for the Pope. I wrote my above suspicions without knowing this information. We have received this information from someone very close to the Vatican. At my colleagues request, however, our source will go unmentioned at this time. The ghost writer for the Pope is someone very popular in theistic evolutionist circles, and I will spare no commentary on this person in my upcoming book, Not By Science Alone. I know for a fact that he holds creation scientists in high disdain, and simply refuses to listen to evidence contrary to his position]. If it is truly the Pope writing these things, then all we can say is that he is badly misinformed. And misinformed he may very well be. We should not expect the Pontifical Academy of Science to say anything to the Pope opposing the theory of evolution, since all 80 of them, who elect their own members without reference to “race or religious creed,” are evolutionists, with not a single Creation scientist permitted in their ranks, even though there are literally thousands of creation scientists across the world! Again, this was just TWO years after evolutionists Gould and Eldredge admitted that the transitional fossils predicted by conventional evolutionary theory simply do not exist. Unfortunately, because of their power, the PAS has managed to force the teaching of evolution in the curricula of almost every grade school, high school, and college under Catholic jurisdiction. “A theory has validity to the extent that it can be verified; it is constantly tested against the facts; whenever it can no longer explain the latter, it shows its limitations and unsuitability. It must then be rethought” (John Paul II’s Message to the Pontifical Academy on 10-22-96, no. 6, L’Osservatore Romano). No one would be foolish enough to argue with that statement. It is the same message Pope Leo XIII gave in the 1893 encyclical Providentissimus Deus, stating: “If scientists ever succeed in demonstrating any scientific truth with irrefutable evidence, let us show that that truth is not opposed to our Scripture” (Para 18). But despite their continual bravado, no evolutionists has been foolish enough to claim that he has irrefutable proof of evolution. As for the Pope’s statement in 1996 that evolution is “more than a theory,” there is quite a story behind this. First, the original French version of the Pope’s 1996 message to the Pontifical Academy of Sciences was published in L’Osservatore Romano (24.10.96, with a title in French and subtitle in Italian). The original purpose of his address to the Academy was to remark on the issue of “emergence” (in Italian: sporgare), a theory in the evolution model that claims, for example, that the facilities of the human mind “emerged” from continually advancing chemical complexity, otherwise known as “hominisation through emergence.” In his message to the Academy, John Paul II rejected that theory, as have all the other popes before him, in one form or another. Native speakers familiar with the current idioms of French insist that “une” means “a.” By the same token, they also admit that the ultimate meaning depends on the context. Consideration must also be given to the fact that French is not John Paul II’s native language, so the relevance of “idiom” may not be as big a factor as native French speakers purport. On the other hand, native speakers familiar with French idiom say that if the Pope had wanted to include himself among those who see evolution as more than a hypothesis, he would have used an altogether different construction. As stated, the sentence implies only one thing: that the evidence accumulated over the last fifty years has led certain people to recognize evolution as more than a hypothesis, such that the Pope is neither including or excluding himself in that specific group, and, in fact, is deliberately retreating from taking sides. They also emphasize the past tense of the clause “de nouvelles connaissances conduisent à reconnaître dans,” which means “new knowledge HAS led to the recognition”; rather than the more inclusive, “new knowledge LEADS us to the recognition.” The latter would imply that the Pope finds himself in the group being “led” to the recognition, whereas the former denotes nothing about who makes the recognition. Finally, the word “dans” in the phrase “dans la théorie de l’évolution” is said to put “la théorie de l’évolution” (“the theory of evolution”) into the Locative case rather than the Nominative case. And since “hypothese” is in the Nominative case, the translation would then read “…within the theory of evolution there is more than a hypothesis,” meaning that the scientific hypothesis of evolution is but one component of the theory of evolution — a component about which the Pope says nothing. Another dimension of this difficulty that may have some bearing on the intended meaning is the difference between a “theory” and a “hypothesis.” A hypothesis is the weaker of the two, since it is a possible explanation of the cause of a particular phenomenon, but without specific evidence to back up the explanation. A theory, however, is an explanation of the cause with at least some evidence to support it. Having said that, however, the Pope’s statement would not necessarily advance the cause of evolution any more than it has in the past, since evolutionists have always considered evolution more than a hypothesis. Being more than a hypothesis elevates it to being a theory. But whether it is more than a theory, which would imply that the evidence for evolution is fact, the Pope did not offer an opinion. And since we are discussing the issue of words and their meanings, it might also be beneficial to point out that evolutionists have a nasty habit of throwing around the word “fact” when they speak of evolution. When an evolutionist says that evolution is a “fact,” to the layman this mean that evolution has been proven by the scientific evidence. To the evolutionist, however, “fact” means only that no other naturalistic solution has been found to the origin of man; special creation not even being considered as an option worthy of discussion. Intellectually, the debate has been dead since 1859 – and evolution was triumphant!…. ‘Theory’ is a bad word: to call an idea a theory is to impugn its credibility….All of them – be they facts, hypotheses, or full-blown theories – are ideas. Some ideas are more credible than others. If the overwhelming evidence of our senses suggests that an idea is correct, we call it a fact. But the fact remains that a fact is an idea….The answer is this: all of science is only a theory. And to label an idea as a theory in science is really a compliment, not a pejorative: for an idea to be called a theory in science, it has to have already passed many hurdles– and to look like it has a really good shot at being right (The Triumph of Evolution, pp. 12, 22, 24). ….Well evolution is a theory. It is also a fact…Einstein’s theory of gravitation replaced Newton’s in this century, but apples didn’t suspend themselves in midair, pending the outcome. And humans evolved from ape-like ancestors whether they did so by Darwin’s proposed mechanism or by some other yet to be discovered….Evolutionists have been very clear about this distinction of fact and theory from the very beginning, if only because we have always acknowledged how far we are from completely understanding the mechanisms (theory) by which evolution (fact) occurred. Darwin continually emphasized the difference between his two great and separate accomplishments: establishing the fact of evolution, and proposing a theory – natural selection – to explain the mechanism of evolution (“Evolution as Fact and Theory” Discover, May 1981). …this tremendously diverse array of life…can rationally be explained only as the simple outcome of a natural shared descent with modification. The only alternative is the decidedly vague and inherently untestable (thus inherently unscientific) claim that it simply suited a supernatural Creator to fashion life in this way (The Triumph of Evolution, p. 63). I mention this phenomenon because this is precisely the kind of mumbo jumbo that the Pontifical Academy of Science gives to the Pope. They tell John Paul that evolution is a “fact,” but when they say so, they don’t mean that evolution has been proven by the evidence. They mean that in the realm of naturalistic explanations for the origin of man, there is no other explanation other than evolution, and thus there is really no difference between the “theory” of evolution and the “fact” of evolution, as absurd as that may sound to objective hearers. In his encyclical Humani Generis, my predecessor Pius XII had already stated that there was no opposition between evolution and the doctrine of the faith about man and his vocation, on condition that one did not lose sight of several indisputable points….Pius XII added to methodological conditions: that his opinion should not be adopted as though it were a certain, proven doctrine, as though one could totally prescind from Revelation with regard to the questions it raises. He also spelled out the condition on which this opinion would be compatible with the Christian faith, a point to which I will return. The Church’s Magisterium is directly concerned with the question of evolution, for it involves the conception of man: Revelation teaches us that he was created in the image and likeness of God (cf. Gn 1:27-29). The conciliar Constitution Gaudium et spes has magnificently explained this doctrine, which is pivotal to Christian thought…It is by virtue of his spiritual soul that the whole person possesses such a dignity even in his body. Pius XII stressed this essential point: if the human body takes its origin from pre-existent living matter, the spiritual soul is immediately created by God. Consequently, theories of evolution which, in accordance with the philosophies inspiring them, consider the mind as emerging from the forces of living matter, or as a mere epiphenomenon of this matter, are incompatible with the truth about man. Nor are they able to ground the dignity of the person. …Some, however, rashly transgress this liberty of discussion, when they act as if the origin of the human body from pre-existing and living matter were already completely certain and proved by the facts, and as if there were nothing in the sources of divine revelation which demands the greatest moderation and caution in this question (Humani Generis). This can hardly be considered a support for the theory of evolution. If anything, Pius was limiting the prerogatives that various clerics had presumed for themselves. Some of the more aberrant ideas revolved around the concept of Polygenism, the belief that the human race was not the product of a single set of parents, such as Adam and Eve; rather, it was a product of a multitude of parents, as evolutionary theory maintains. Polygenism was accepted as fact by such Catholic theologians as Fr. Pierre Teilhard de Chardin and Fr. Karl Rahner, to name a few. In The Phenomenon of Man (New York: Harper and Row, 1972) de Chardin states: “This in the eyes of science, which at long range can only see things in bulk, the ‘first man’ is, and can only be a crowd, and his infancy is made up of thousands and thousands of years” (p. 120). Karl Rahner writes: “We cannot think of ‘Adam’ in terms of evolution and deny this for ‘Eve’…One cannot therefore accept evolution for ‘Adam’ and then reject it for ‘Eve.’ Polygenism can therefore no longer be rejected in the case of one couple” (cited in Original Sin in the Light of Modern Science by Patrick O’Connell (Lumen Christi Press, 1973), pp. 78-79). Rahner also promoted the idea that man is gradually, not instantaneously, endowed with a living soul (“Das Problem der Hominisation” in Quaestiones Disputata 12-13-1965; and Naturwissenschaft and Theologie 11, 1970). The positions of de Chardin and Rahner are akin to the ideas of Protestant Karl Barth, and followed by Catholic Hans Küng, who denied Original Sin and held that man is as he always was. 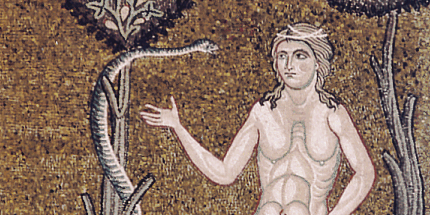 At Vatican Council II, a panel of scholars, including Rahner, unanimously agreed that: “‘Adam and Eve’ is a literary device used by the Hebrew editor of the Book of Genesis to symbolize the first human being or beings…Man became man when he emerged from a previous form of biped and developed reason and conscience…The concept of original sin refers to man’s revolt against his own conscience…” (Time magazine, May 1965). Yet not only was polygenism condemned by Pius XII in Humani Generis in 1950, but again by Paul VI in 1966. And without the benefit of polygenism, most Catholic evolutionists realize that the case for evolution is seriously hampered, if not obliterated, since it is almost impossible to explain how evolution can be confined to only one set of human parents. Still, there are many Catholic theologians today who ignore the papal teaching against polygenism. In doing so, they deliberately deny the doctrine of Original Sin, which holds that all men are born in a state of sin as the result of the sin of our first two parents. Moreover, in the doctrine of Original Sin, the Church teaches that physical death is a result of the first sin, not the result of an evolutionary life-death cycle seeking higher forms of consciousness, as de Chardin taught. Essentially, then, the prohibition of polygenism should have ended the evolution debate for Catholics a long time ago, but there are other forces and ideas at work that keep the issue alive. Young: ….John Paul says the doctrine of the faith allows the possibility of man’s bodily evolution (general audience of April 15, 1986). Since heresy consists in either denying or doubting an infallible teaching of Revelation, the Popes would have taught heresy. But that is incompatible with the Holy Spirit’s guidance of the Vicar of Christ in his teaching. Notice several things here: First, the Pope speaks of “experts of the Bible” as his source of information that the “second” account of Creation is the “most ancient” and is “figurative.” Who are these “biblical experts”? They come mainly from the Pontifical Biblical Commission (PBC), and some from the Pontifical Academy of Science. The PBC, however, is well-known for some of the most liberal and neo-orthodox views concerning Scripture that has ever influenced the Catholic Church. As a group, they do not believe in the traditional view of biblical inerrancy. The PBC has gone on record as advocating the modernist theory that Scripture contains historical errors, and that it is only inerrant when it speaks on matters of salvation. Its former head, the late Fr. Raymond Brown (d. 1998), was a well-known advocate of the theory. To get a flavor for the kind of biblical studies taking place under the watch of Raymond Brown, a few quotes from his writings will suffice. He writes: “In the last hundred years we have moved from an understanding wherein inspiration guaranteed that the Bible was totally inerrant to an understanding wherein inerrancy is limited to the Bible’s teaching of ‘that truth which God wanted put into the sacred writing for the sake of our salvation'” (The Virginal Conception and Bodily Resurrection of Jesus, pp. 8-9). In fact, in his books and articles, Fr. Brown questions a majority of beliefs held as dogma in the Catholic Church, e.g., Mary’s Perpetual Virginity; the monarchial espiscopate (i.e., papacy); the function and identity of apostles, bishops and priests; apostolic succession; the barring of women from ordination; the Eucharist as a sacrifice; the value and authority of Tradition, etc. (Many of these will be detailed in my upcoming book: Not By Historical Criticism Alone: Exposing the Fallacies of Modern Biblical Hermeneutics, due out late 2002). Moreover, the PBC has adopted the Documentary Hypothesis, first propounded by the Protestant liberal scholar Julius Wellhausen in the late 1800’s, and advanced by every major Protestant liberal scholar since, including Schweitzer, Bultmann, Barth, Bruner, Tillich, et al, and adopted by Catholic liberal scholars such as de Chardin, Rahner, Kung, Schillebeeckx, De Lubac, and many others. Thus, similar to the Pontifical Academy of Science, the Pontifical Biblical Commission has what in normal parlance is called a “stacked deck” in their favor. Both Pontifical institutions house some of the most ardently liberal and neo-orthodox theologians and scientists the world has ever known. Surrounded by this biased entourage, the Pope may perhaps never know that either evolution or the Wellhausen theory has come under sharp attack by many other scholars as being a distortion of the biblical text. Unfortunately, it is obvious from the Pope’s remarks, that any such information has almost certainly been systematically barred from his eyes. There is also an agenda in calling it the “more ancient” of the two accounts, since it would then appear to have greater authority as the more genuine or precedent-setting account. If you want to see how this works out in the interpretation of Genesis, let’s look at one of the Pontifical Academy of Science’s leading proponents of the Documentary Hypothesis. Theistic evolutionist Stanley Jaki states in his book Bible and Science (p. 45): “And since Genesis 1 is, on stylistic grounds alone, a patently post-exilic document…” Again in Genesis 1 Through the Ages Jaki states (pp. 25-26): “…accepting higher criticism about the three or more different sources of Genesis that almost force one to date Genesis 1 as post-exilic.” This means Jaki believes that Genesis 1, which is, according to the Documentary Hypothesis, was written between 515 – 445 B.C. during the time Judah returned from slavery in Babylon! So, according to higher critical theories, the first chapter of the first book of the Palestinian Scriptures (i.e., Genesis 1) was written last of all its chapters and books! Talk about turing things upside down! What does this do for theistic evolutionists? It allows them to dismiss the starkly literal language of Genesis 1 as merely the product of the over-active imagination of a scribe in the 5th century B.C. who is only seeking to restablish the lost prestige of a people subjected to foreign conquest. In other words, it allows these dispossessed people to feel good about themselves again, since God is on their side. They make it appear so by telling mythical stories about Him creating the universe miraculously and instantaneously. And then sometime later, someone who compiles the Hebrew canon surreptitiously places Genesis 1 at the very beginning of their Bible to make their history appear as a seamless garment. It is only the astute “historical critic,” who, even though he is twenty-five centuries removed, can detect with his trusty intellectual tools that the Hebrews tried to pull the wool over our eyes. And to put the icing on the cake, these same theorists claim that this 5th century B.C. scribe borrowed the language of Genesis 1 from his Babylonian captors, which the captors had long since enshrined in a story titled Enumu Elish, which concerns the exploits of the mythical warrior-king named Marduk, who seeks to tame the violence of the universe and destroy his arch-rivals. Forget Moses, who both Basil and Ambrose tell us received the creation story directly from God, and who Exodus 33 tells us spoke “face to face” with God. These historical critics have no time for such extraordinary beliefs, since their motto is that things must be explained rationally and naturalistically. The insidiousness of this approach comes out in other ways as well. Jaki also claims that the book of Ezekiel is “certainly a post-exilic product” (Bible and Science, p. 5). Jaki simply ignores the fact that Ezekiel claims to be predicting the future in the midst of the Babylonian captivity, not subsequent to it. To allege, as Jaki does, that Ezekiel is “post-exilic” means that there is no prophecy in Ezekiel; rather, Ezekiel merely poses his writings as prophecy to give the impression of a divine stamp of revelation. Modern critical scholars do the same with the book of Daniel. All of Daniel’s prophecies are said to be written “after the fact,” and thus the so-called “prophecies” claimed by Daniel are merely historical recountings of the past, not predictions of the future. This is the kind of nonsense being fed to the Pope today by the so-called higher-critical “experts” — the refuse that many Protestants threw out years ago. Naturally, if the text is said to be “figurative,” then it could be compatible with evolution, since nothing in the text has to be taken at face-value. But as I said before, even the theory that space aliens seeded the earth could be compatible with a figurative interpretation of Genesis. In a non-literal interpretation, every item can be interpreted as something other than what it actually says. But is the “second” account in Genesis 2 “figurative”? Unfortunately, the Pope is again surrounded by biased, liberal theologians who attempt to persuade him so. There are hardly any orthodox Catholic theologians remaining, or within earshot of the Pope, who seem able to present the other side of the story to him. Suffice it to say, there is a whole tradition of Catholic exegesis which has maintained the literal, historical and chronological interpretation of both Genesis 1 and 2, as I have documented from the Fathers and medieval theologians in this paper. I will have more to say in my book Not By Science Alone. Regardless of these disturbing facts, none of this should bother the faithful Catholic. Many times in history Popes have been surrounded by misguided advisers. A most recent example occurred in the late 1960’s when Pope Paul VI commissioned a panel of theological and moral “experts,” many of them cardinals and bishops, to study the matter of contraception. Out of these sixty-eight advisers, only four of them told the pope that contraception was illegitimate and should not be allowed. But Pope Paul, guided by the Holy Spirit, rejected the advice of his majority block, maintaining with his predecessors that contraception was a moral evil. (The Desolate City: Revolution In The Catholic Church by Anne Roche Muggeridge, rev. ed. (Harper & Rowe, 1990 ), page 83). But for evolution to explain how creatures can evolve, yet at the same time be created from nothing in their whole substance, is indeed a daunting task, if not impossible. It seems to have the same degree of difficulty as explaining how evolution could occur without the benefit of polygenism. Finally, for the sake of argument, let’s draw out the scenario which postulates that the Church does, someday, make a formal declaration that evolution is heresy. Would John Paul II be held accountable or accused of heresy for stating that evolution is compatible with a figurative reading of Genesis 2? The answer is a clear no. As we said earlier, the Church teaches that one cannot be condemned of heresy if one does not deliberately, knowingly and consistently go against a defined dogma of the Church. Nevertheless, in this scenario it would still be true that John Paul II made an error, even in suggesting that evolution was compatible with Genesis. But this should neither surprise us nor alarm us. Have there been Popes in Catholic history who have held fallacious theological or scientific ideas? The answer is yes. Have there been Popes who have made public their aberrant ideas? The answer is yes. In fact, in the deliberations of Vatican I (the council which defined the dogma of papal infallibility), the papal investigators found 41 (forty-one) instances in Catholic history where Popes embraced or taught errors in theology. One of the most famous is Pope Honorius I, who in the sixth century made a formal statement to the Bishops of the east that Christ had only one will (He said: “We declare that Christ had only one will.” You can find this in Denzinger, Para #251). This was later found to be a heretical statement, and Honorius was posthumously condemned by Pope Agatho, Pope Leo II, and the sixth, seventh and eighth ecumenical councils. That leaves 40 (forty) other such instances of error occurring in the teachings of Catholic Popes. In fact, these very incidents of papal error helped Vatican I formulate and dogmatize the doctrine of papal infallibility. They defined precisely what papal infallibility was, and what it was not, due to the errors of previous popes. We must also reflect on how the Church operates in these matters. A good example can be gleaned from the history of the formation of the Canon of Scripture. In 382, at the Council of Rome, Pope Damasus officially approved the canon we have today. In 393, the Council of Hippo did likewise, as did the Council of Carthage in 419. In 405 Pope Innocent approved the same canon in a letter to a Gallican bishop. In 787, the Council of Nicea approved the same canon, as did the Council of Florence in 1440. One would think that after all these “official” statements, the matter of the canon would have been settled. But there were “official” dissident voices throughout these years. One of these was Pope Gregroy the Great (590-604) who doubted the canonicity of 1 Maccabees. Pope Leo X (1513-1521); Pope Adrian VI (1522-1523) and Pope Clement VII (1523-1534) cast doubt on the canonicity of the deuterocanonicals (the seven OT books not appearing in Protestant Bibles) by approving a Bible published by scholar Sanctes Pagnini which made a sharp demarcation between the protocanonical and deuterocanonical books. A Latin Catholic Bible published at Nuremburg by Johannes Petreius in 1527 specifies at the beginning of each Apocryphal book that they are “not canonical.” Erasmus, the Catholic apologist who fought against Luther, agreed that the deuteros were not canonical. Cardinal Cajetan, one of the staunchest defenders of Catholic orthodoxy against Luther, also claimed the non-canonicity of the seven deuteros. He expressly called attention to the fact of St. Jerome’s separation of the canonical books from the non-canonical books, and maintained that the latter “must not be relied upon to establish points of faith, but used only for the edification of the faithful,” even though the Council of Florence in 1440 laid down an official decree that they were to be accepted as canonical. It wasn’t until the Council of Trent in 1563 that the final, infallible, dogmatic decree was issued, along with the solemn warning that dissent from the accepted canon would no longer be tolerated, complete with anathemas for anyone who disputed either the proto- or deuterocanonicals. So we see that, unless the Church makes a clear, detailed, dogmatic, unambiguous and infallible statement, theological issues are often debated ad infinitum, or sometimes ad nauseam. Such is the case with evolution today. Although the preponderance of evidence in Church history is thoroughly against evolution, it will take a clear, detailed, dogmatic, unambiguous and infallible statement for the Church to put the final nail into its coffin, if and when she decides to do so. In the meantime, we can learn a valuable lesson from the Church’s dealing with the Canon issue. Even though it made the infallible decree, the Council of Trent showed that it was bound by all the previous statements concerning the canon which appeared in the consensus of the Fathers and the decrees of the popes and councils. In essence, all the Council of Trent really did was put its infallible rubber-stamp on what was already authoritatively decreed in the Tradition of the Church. Unless there was absolute, indisputable and overwhelming evidence to the contrary, the Council of Trent was bound by Tradition. And so it will be with any future council or pope who must make a decision on evolution (and which is why John Paul II was careful to quote from Vatican I’s statement on creation in his 1996 address to the Pontifical Academy of Science). Despite today’s intermittent voices of dissent pushing for evolution, the future pope will find himself bound by the consensus of the Fathers, and the popes and councils which have made authoritative decrees about creation, and from which he cannot deviate. So for now, to answer Mr. Young’s question, no one is going to be accused of “heresy” for advancing the theory of evolution. Yet let us not forget what this paper has revealed to us: The literal interpretation of Genesis has been the hallmark of Catholic exegesis on this subject since time immemorial, with hardly any deviation. Ironically, there are dogmatic teachings in the Catholic Church which have much less patristic, conciliar, and papal witness to their credit than the doctrine of a literal six-day Creation (e.g., the Immaculate Conception and Assumption of Mary). It is my prediction that sometime in the future the controversy over this issue will come to a head, and it won’t be long before the Church makes a definitive ruling. Until then, I find it hard to lay the blame for this sorry state of affairs at the feet of John Paul II. I place the blame squarely upon the Pontifical Academy of Science, and the Pontificial Biblical Commission, whose members are some of the most liberal and heterodox theological minds the Catholic Church has ever had the unfortunate experience to witness. “I myself am convinced that the theory of evolution, especially the extent to which it has been applied, will be one of the great jokes in the history books of the future. Posterity will marvel that so flimsy and dubious an hypothesis could be accepted with the incredible credulity that it has.” Malcolm Muggeridge, Pascal Lectures, University of Waterloo, Ontario.